RunTri: How Fast Did Oprah Run a Marathon? Do you want to beat Oprah's marathon time? 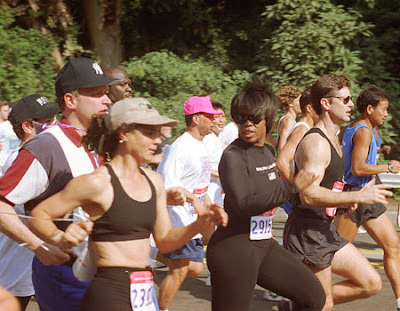 In 1994, at the Marine Corps Marathon, Oprah Winfrey ran a 4:29:20 in her first and only marathon. Her finish time is roughly the average finish time of the Top 25 Marathons.